The 100 Innings of Baseball Game supports ALS (aka Lou Gehrig’s disease). The world’s longest game continues 100 straight innings and lasts about 30 consecutive hours. This marathon game was born in 2004 with the arrival of Curt Schilling to the Boston Red Sox as a fundraiser to support Curt’s Pitch for ALS which was tied to The ALS Association. Beginning in 2012, fundraising support was donated to The Angel Fund. 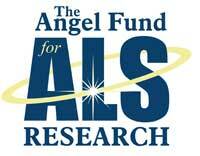 In cruel twists of fate, our umpire chief Walter Bentson was diagnosed with ALS, as well as Ratt Kennedy, president of The Angel Fund. 100 Innings of Baseball helped inspire Pete Frates, the Boston College baseball player and internet sensation responsible for the most successful viral social media campaign in history: The Ice Bucket Challenge. To date, 100 Innings of Baseball has raised about $750,000.